Triggering our age of high-stakes secrecy, explosive news leaks and the trafficking of classified information, WikiLeaks forever changed the game. 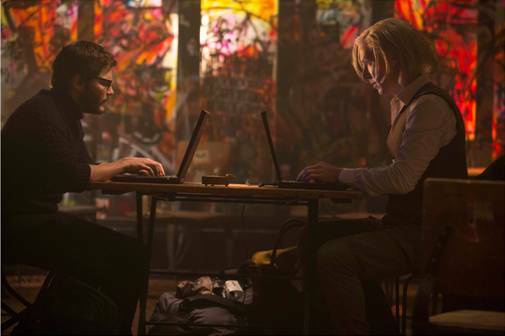 Now, in a dramatic thriller based on real events, THE FIFTH ESTATE reveals the quest to expose the deceptions and corruptions of power that turned an Internet upstart into the 21st century’s most fiercely debated organization. The story begins as WikiLeaks founder Julian Assange (Benedict Cumberbatch) and his colleague Daniel Domscheit-Berg (Daniel Brühl) team up to become underground watchdogs of the privileged and powerful. On a shoestring, they create a platform that allows whistle blowers to anonymously leak covert data, shining a light on the dark recesses of government secrets and corporate crimes. Soon, they are breaking more hard news than the world’s most legendary media organizations combined. But when Assange and Berg gain access to the biggest trove of confidential intelligence documents in U.S. history, they battle each other and a defining question of our time: what are the costs of keeping secrets in a free society—and what are the costs of exposing them?